Spacious 4 bedroom/2 bath home on a quiet cul-de-sac in Oakwoods – a neighborhood that is well-established, highly desirable and has a convenient storage facility for recreational vehicles, boats, etc! Neutral color walls in the Living room and Eat-in kitchen make for a serene setting. Openness helps each room flow into the next and is great for entertaining. Upper level hosts three bedrooms and a full bath, lower level has fourth bed and second full bath – great for guests! Enjoy your evenings in your extra, lower level family room complete with a wood burning fireplace. Or on your beautiful 2-tier deck w/seating overlooking the backyard. Tons of trees in back offer great privacy, too! 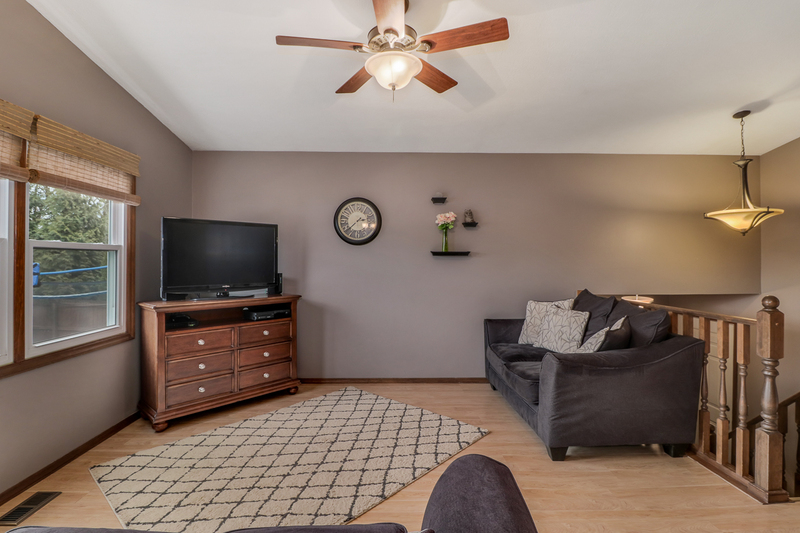 Some newer paint, Pella slider; all newer light fixtures; roof newer 2012; appliances newer 2013; newer carpet in basement; newer bathroom faucets; new garbage disposal; new windows, bathroom tile, and water heater 2017.